Former Secretary of State Hillary Clinton said Tuesday that, in hindsight, her decision to use a private email server to conduct official business was not the best one. But she is defending it and said the system was secure. Clinton, at news conference in New York, said the email server that she used had been set up for former President Bill Clinton. The system had "numerous safeguards" and is on home property protected by the U.S. Secret Service, she said. "There were no security breaches," said Clinton. "I think the use of that server, which started with my husband, proved to be effective and secure," she said. Clinton, who was secretary of state under President Obama from 2009 to 2013, used her personal email account with its own domain, Clintonemail.com, to conduct official correspondence. 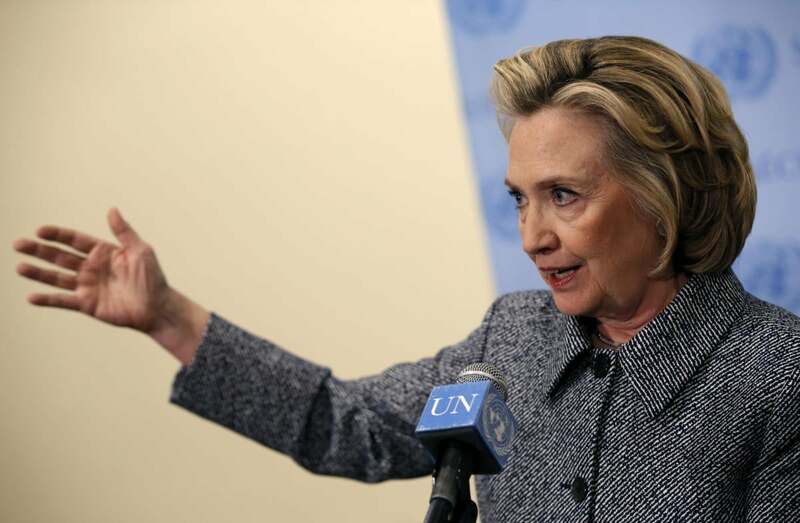 That revelation, first disclosed by the New York Times, has created something of a political storm for Clinton, who is widely expected to run for president in 2016. Clinton said the server made it easier for her to manage her email from one email account - and from one device. "I opted for convenience to use my personal email account, which was allowed by the State Department, "said Clinton, "because I thought it would be easier to carry just one device for my work and for my personal emails instead of two. "Looking back, it would have been better that I simply used a second email account and carried a second phone, but at the time that didn't seem an issue," said Clinton. 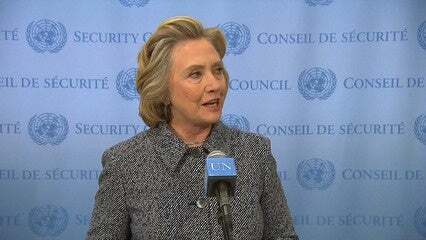 Even though she took numerous questions from the media, Clinton left the news conference with some things unanswered -- specifically, whether the private server was cleared with the State Department, whether officials had access to it and who was responsible for securing it. Clinton said the system wasn't used for classified material, and she believes that most of the 55,000 pages of documents that she has turned over from the server to the State Department are already captured in government archival systems because they were sent to .gov addresses. It still remains unclear about just how appropriate Clinton's system was. As a general rule, government IT policies don't give federal employees the option of using their own email accounts to exclusively conduct government business. Government policies, however, recognize that sometimes work may be done on a private account, and when that happens the email should be forwarded to a government account to preserve the record.